Faltan pocos días para la noche con mas risas y carcajadas del verano 2018. 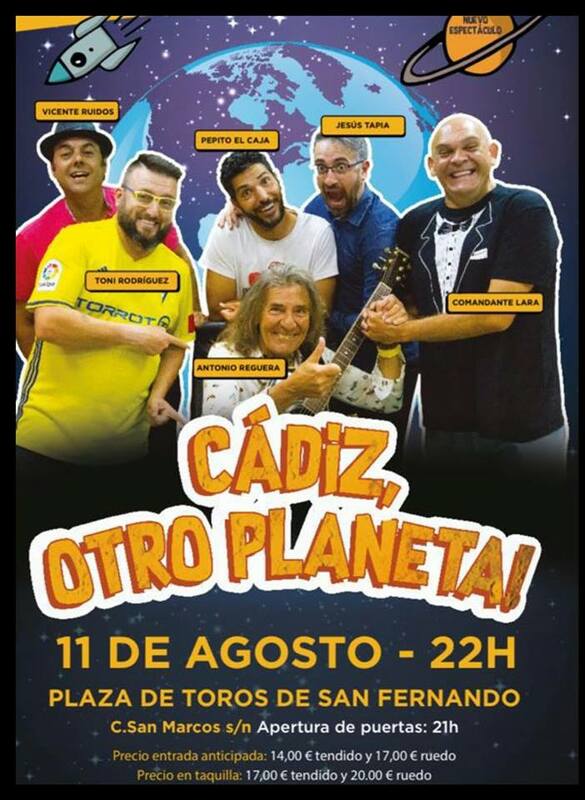 Sabado 11 de Agosto, a las 22 horas. Plaza de Toros- San Fernando (Cadiz). This entry was posted on Thursday, August 2nd, 2018 at 8:36 pm	and is filed under General. You can follow any responses to this entry through the RSS 2.0 feed. Both comments and pings are currently closed. Atom, Entries (RSS .92), (RSS 2.0) and Comments (RSS 2.0). 26 queries. 0.541 seconds. Top.